The architects from STARS who worked on this house point out that this log cabin home is ideal for a large family, when in fact it is large enough to operate as a small hotel! 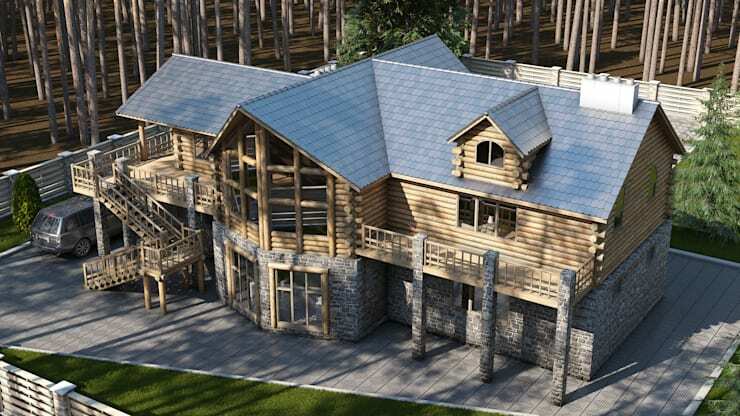 Reminiscent of something you'd find at the base of a snowy mountain, this massive structure displays all of the warmth and woodland heartiness of a sky lodge, with a sense of grandeur and authority from every angle. The home is located in the rural, forested area that surrounds Moscow, Russia, where tall pines provide excellent local construction materials for log buildings like this one. Built with a heavy country influence, this exterior sticks to the basics: wood for a lighter upper floor, and stone for a solid bottom base. However, this home is far cry from a simple country cottage – enormous central windows give the structure a sense of grandeur, as a zigzagging wooden staircase emphasizes the sheer size of this gigantic family home (this structure measures 62 feet in length and is 45 feet wide, with additional living space offered by the multiple terraces and their ground floor sheltered patios). 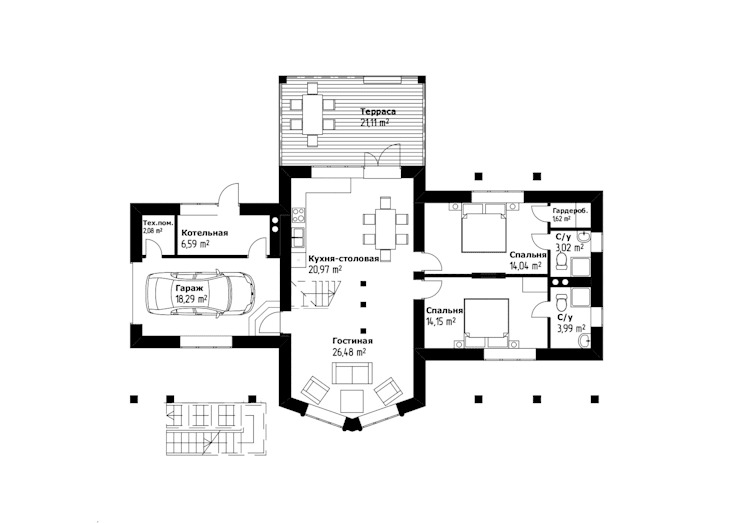 A view from above showcases a defining element of this home – as the two main masses of the home converge in a cross shape, it becomes obvious that the home is designed with a heavy emphasis on central planning, with all wings of the home leading to the heart or central area found at the intersection. Suitable for a very large family, the house offers up four spacious bedrooms, and as each enjoys their own bathroom, this house is ideal for comfortably hosting overnight guests. A central, lofty living room sits close to the proud display of window panes, while a kitchen occupies the heart of the home, a traditional layout for a country home. A backyard terrace can be found just outside the kitchen, perfect for summer barbecues in the forest, and there are two terraces on the front of the home as well – this family can enjoy both the sunrise and the sunset from the comfort of their own wooden deck! For a full tour of another fabulous forest home, have a look at this modern forest home designed for a relaxing retirement! 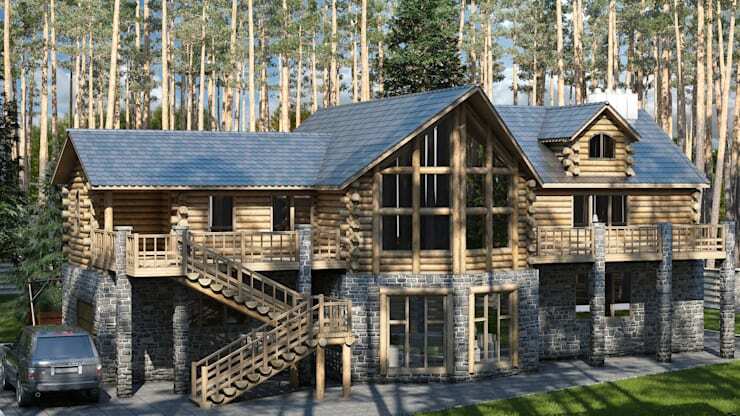 What do you think of this luxurious log home? Comment below!